A native of Rockingham County, Robert Payne Richardson Jr. was born in 1855 to Robert Payne Richardson and his second wife, Mary Elizabeth Watlington, a native of Caswell County. Educated locally and one year at the Bingham School, Orange County, Richardson Jr. associated early with his father's tobacco and mercantile business in Reidsville. Around 1877 the younger Richardson formed his own business, the R. P. Richardson Jr. and Company, with a concentration on smoking tobacco, produced mainly under the brand name, Old North State. The business thrived over two decades in the tobacco-centric town of Reidsville. However, the year 1917 brought challenges with a factory fire and the building nearby of a large American Tobacco Company plant for the production of Lucky Strike cigarettes. When Richards Jr. died in 1922, the company stayed in family hands until its sale in April 1926 to Brown and Williamson Tobacco Corporation. Collection includes 22 volumes, representing a portion of the business records of the R.P. Richardson, Jr. and Co., founded in 1877 for the manufacture and sales of smoking tobacco. Volumes include 14 letter press books, 1911-1927; 5 ledger books, 1898-1910; and 3 check stub books, November 1917-August 1918. Arranged by type of business record and chronological therein. A native of Rockingham County, Robert Payne Richardson, Jr. was born in 1855 to Robert Payne Richardson and his second wife, Mary Elizabeth Watlington, a native of Caswell County. Growing up on the family plantation at Wright's Crossroads, Richardson studied at local schools in Reidsville and Wentworth, and attended the Bingham School, Orange County in 1872. The following year, he associated with his father's tobacco and mercantile business, and began clerking and selling tobacco. In 1874, a Virginian, Frank Reid Penn moved his family to Reidsville and formed a business partnership with his brother Sarn Cabell. Named the F. R. Penn Tobacco Company, the firm began to manufacture both chewing and smoking tobacco. (See the Chronology for more information about this company and its purchase by American Tobacco Company in 1911, and the subsequent restructuring of American Tobacco following antitrust litigation, 1907-1911; and its eventual building of a plant in Reidsville, 1917). In 1877 Robert Payne Richardson Jr., then twenty-two years of age, founded his own business, the R. P. Richardson Jr. and Company. Other than the F. R. Penn Company, the tobacco industry in Reidsville had primarily produced chewing tobacco. Early on, Richardson chose to focus production on smoking tobacco. Under the brand name, Old North State, it rapidly became a leading regional brand. At some point therafter, the company began making cigarettes, also under the same brand name. Early success stimulated other several area producers to follow suite, so that by the turn of the century Reidsville was second only to Durham in its smoking tobacco output. Also during 1877, Richardson was married to Ann Bettie Watt. She bore one son, Pinckney Watt (1881-1958), before her death on 30 August 1882. In 1892 Richardson married Margaret M. Watt (Maggie), who bore three children, Robert Payne III (1897-1967); Margaret Elizabeth; and Sarah Dillard, who died in childhood. Among his children, Pinckney Watt and Robert Payne III, worked in the family business. Sometime around 1890 Richardson had built a modern, five story brick factory located in Reidsville, a town whose Market Street was divided by the Southern Railroad. The factory burned in 1917 but subsequently was partially rebuilt. Richardson's younger son, Robert Payne III, was graduated from Davidson College in 1918, then served one year in the U.S. Marine Corps. Thereafter he returned to Reidsville and joined his father in the tobacco business. The elder Richardson, who died in 1922, was followed in death in 1924 by by his wife Maggie. The family tobacco manufacturing business continued until 1926-1927, following its purchase by Brown and Williamson of Winston-Salem in April 1926. In addition to its smoking tobacco enterprise, the Richardson family of Reidsville, Rockingham County was involved in the acquisition of thirty-three thousand acres in Tennessee; gold mining in Montgomery County with the Rich-Cog mine and Rockingham Mining and Investment Company; and farming of a large scale within their home county. Sources: Dictionary of North Carolina Biography, s.v. Penn, Charles Ashby; Richardson, Robert Payne, Jr.; Encyclopedia of North Carolina, ed. William S. Powell, pp. 150; 1120-1121. North Carolina Death Certificates, 1909-1975. 1873 R. P. Richardson, Jr. joined his father's firm in Reidsville, working as a clerk and in tobacco sales in a company involved primarily in manufacture of chewing tobacco. 1877, ca. Young Richardson left his father's company, and founded the R. P. Richardson Jr. and Company. Striking out in a new direction, it emphasized the production of smoking tobacco. 1890, ca. Richardson Jr. and Company built a large 5 story brick factory in Reidsville. 1900, ca. North Carolina was America's leading source of tobacco and cigarettes were rapidly replacing chewing tobacco and cigars as the prevalent form of tobacco consumption. 1900, ca. Reidsville recognized as second only to Durham in the tobacco industry. 1911 F. R. Penn and Company, that included son, Charles Penn, sold Penn Tobacco to the American Tobacco Company. 1912 Following government antitrust litigation, 1907-1911, the old American Tobacco and closely related subsidiaries were divided into a new American Tobacco Company, and several other companies, including Liggett-Myers, P. Lorillard, Philip Morris, R. J. Reynolds, and Brown and Williamson. 1913 Charles Penn was appointed a director of the American Tobacco Company and moved to New York, where he worked as assistant to the production manager. 1916 Charles Penn perfected the blend for Lucky Strike. This cigarette, initially made in Brooklyn, began emerging as one of most popular brands in the world. Penn convinced management that a new factory be constructed in Reidsville, for the production of Lucky Strikes. 1916-1917 American Tobacco Company increased its expansion in Reidsville, beginning with construction of a large plant of factory buildings, that by the following year dominated the town's landscape. 1917 Richardson tobacco factory burned, but was partially rebuilt and the business continued. 1922 Death of R. P. Richardson, Jr., but business continued under family, R. P. Richardson III, and (possibly) Pinckney Watt Richardson. 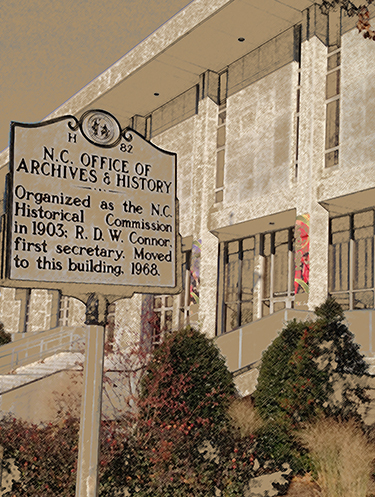 1926, April Richardson Company sold to Brown and Williamson Tobacco Corporation of Winston-Salem. 1929 All divisions of Brown and Williamson concerned with smoking tobacco moved to Louisville, Kentucky. 1980s, late American Tobacco left Reidsville and Durham. 2004 Brown and Williamson merged with R.J. Reynolds Tobacco to form Reynolds American, Inc.
[Identification of item], PC.2036, R. P. Richardson Jr. and Company Books and Ledgers, 1898-1927, North Carolina State Archives, Raleigh, N.C., USA. Received December 2011 as a gift from David Chiswell, Raleigh, N.C.
Additional information on topics found in this collection may be found in the Manuscript and Archives Reference System (MARS) http://www.ncarchives.dcr.state.nc.us/?site=raleigh. Consists of 22 volumes, representing a portion of the business records of the R.P. Richardson, Jr. and Co., founded in 1877 for the manufacture of smoking tobacco, Reidsville. Volumes include 14 letter press books, 1911-1917; 5 ledger books, 1898-1910; and 3 check stub books, November 1917-August 1918. Additionally, there is one folder with the collection containing a blank invoice, circa 1920, that features the logo of the Old North State Smoking Tobacco, a brand manufactured by the Richardson Company. Old North State Smoking Tobacco. Consists of 22 volumes, representing a portion of the business records of the R.P. Richardson, Jr. and Co., founded in 1877 for the manufacture of smoking tobacco, Reidsville.Volumes include 14 letter press books, 1911-1917; 5 ledger books, 1898-1910; and 3 check stub books, November 1917-August 1918.